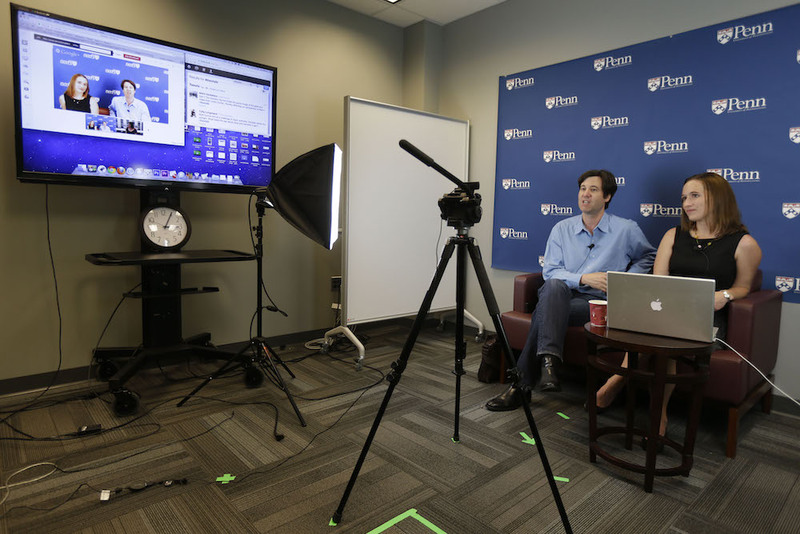 MOOCs combine filmed lectures, readings, course material, and online interactions among professors and students—with the goal of reducing costs and expanding access to higher learning. Many MOOCs today already are huge. Andrew Ng, co-founder of the MOOC platform Coursera, used to teach 400 students a year at Stanford, whereas more than 100,000 students registered for his first MOOC on machine learning. Ng calculated he would have had to teach at Stanford for 250 years to reach the same number of students. But the promise of MOOCs is even bigger than that. Could online courses make real the idea that education is a fundamental human right, regardless of where you live? Ng’s Coursera partner Daphne Koller has argued yes—that MOOCs can educate students all over the world, even identify the next Steve Jobs in a village in Africa. Right now, the overwhelming majority of MOOC students are Western, white, and well-off. But experiments are emerging to change that. Take the Kepler experiment in Rwanda. Launched by the nonprofit Generation Rwanda in 2013, its goal is to use MOOCs to bring the best of online education to the brightest survivors of the 1994 genocide. Like a young Rwandan woman who lived in refugee camps until the age of 14, and was selected as part of the first group of Rwandans to test business MOOCs offered by the University of Edinburgh. Generation Rwanda knew that MOOCs weren’t accessible to students in Rwanda. The first cohort didn’t know how to type on a computer and spoke limited English; they certainly didn’t have the academic background to take college-level courses. So Generation Rwanda lined up American expats in Kigali as mentors. While the program is still working out the kinks, it already can claim success: 49 of its first class of 50 students have graduated. NGO-university partnerships like Kepler represent an agenda somewhere between educational access and international development. But what might we learn from Kepler about MOOCs and the right to an education in the U.S., where, similar to Rwanda, a persistent underclass lacks access to quality education that might lead not just to better lives for individuals, but to better lives for families and whole communities? At Cornell University, we tried an experiment to answer questions about MOOCs’ capacity to build stronger communities in America. We designed a MOOC that was different from the business, information technology, and engineering MOOCs that aim to lift up Rwandans and other poor students in developing countries. Our MOOC—Reclaiming Broken Places: Introduction to Civic Ecology—is an exploration of grassroots environmental stewardship. In particular, we want the students to explore why people spontaneously “reclaim” broken places—like vacant lots in Detroit where residents plant community gardens and street trees; beaches destroyed by Hurricane Sandy in New York, where volunteers rebuild sand dunes to protect their shoreline; or polluted streams in Washington, D.C., where young people remove trash. Because many people who reclaim broken places live in the communities where these places scar the landscape, we wanted to see how we could make our MOOC accessible to these same communities and their environmental stewards. The participants in our experiment were not young people who might be the next Steve Jobs. Rather they were middle-aged African-American ladies in low-income housing in Anacostia (a Washington neighborhood), Latino elders in Providence, Rhode Island, and immigrant and African-American community leaders in Queens, N.Y. Following the Kepler model, we decided that in order to access the MOOC content, these individuals would need local mentors—people living in the communities we were targeting who could understand the lectures and readings. Then we set about answering the question: How do mentors shape access, learning, and local action when people in low-income communities participate in a MOOC? Our students were not trying to earn a degree. They were what we call “free-choice learners”—people who choose what they want to learn—like visitors to zoos and museums, and adults taking a MOOC just because they’re interested. And for the most part, after watching a couple of the video lectures, the students in our local groups chose not to follow the intended MOOC pathway. Instead of listening to the lectures and reading the materials, they preferred to hear their mentors explain the ideas about how people reclaim broken places because of their love for life and love for the places where they live, and about how planting gardens or trees can bring people and help bring back a sense of community. The students then discussed how the ideas applied to their own broken places—the neighborhoods where they lived. And they planned actions to reclaim the broken places in their own communities. The mentors—Akiima Price and Xavier Brown in Washington, Bryce DuBois in Providence, and Anandi Premlall in Queens—added their own touch to the lessons. Anandi used a film about the destruction of an urban farm in South Los Angeles as a jumping-off point to debate struggles around urban open space. And Akiima invited her students to share stories about losing sons and nephews to gun violence, as a way to introduce the concept of broken places. By discussing the course content—or the content as interpreted by the local mentors—the students learned a few things about ecosystem services, environmental governance, and sense of place and sense of community. And they came to realize the larger meanings of—and how to get involved with—grassroots greening efforts. One way to think about our experiment is that the MOOC acted as a community-organizing tool to help participants identify things they wanted to see changed in their neighborhoods. In Providence, the senior citizens who participated in our MOOC are now working to convince the housing authority to allow them to grow their own food in a housing project garden. In Anacostia, participants are beginning to cultivate planting boxes to memorialize loved ones killed by violence. And the group in Queens launched 103 seed bombs—a mixture of dirt, compost, and wildflower seeds—to reclaim vacant lots. So what does our experiment—along with experiments in Rwanda and other developing countries—tell us about MOOCs? Andrew Ng shared a vision for what MOOCs can do: “I want to live in a world where students no longer have to choose between paying for tuition and paying for groceries. I want to live in a world where a poor kid born in Africa has nearly equality of opportunity as a kid born in the wealthy suburbs in D.C.” Such a world, however, requires more than MOOCs. Educational access in poor communities—whether in Rwanda or Rhode Island—requires mentors to guide students toward getting a business degree or taking action to reclaim their community. And mentors make MOOCs smaller—mentors will not reach 100,000 students. But mentors may also help make MOOCs larger—not just about educational access for individual students, but a tool for building stronger communities. Marianne Krasny, director of Cornell University’s Civic Ecology Lab, teaches the Reclaiming Broken Places MOOC and is a Public Voices Fellow; her most recent book (with Keith G. Tidball) is Civic Ecology: Adaptation and Transformation from the Ground Up. Bryce DuBois, an extension associate with the Civic Ecology Lab, is researching the political ecology of Rockaway Beach after Hurricane Sandy as a doctoral candidate in environmental psychology at the Graduate Center at CUNY. *Photo courtesy of Matt Rourke/AP Photo.